Live jamming interface for Max/MSP. Is there a better alternative to Ill Logik? Is Ill Logik really the best app in Audio category? Will Ill Logik work good on macOS 10.13.4? 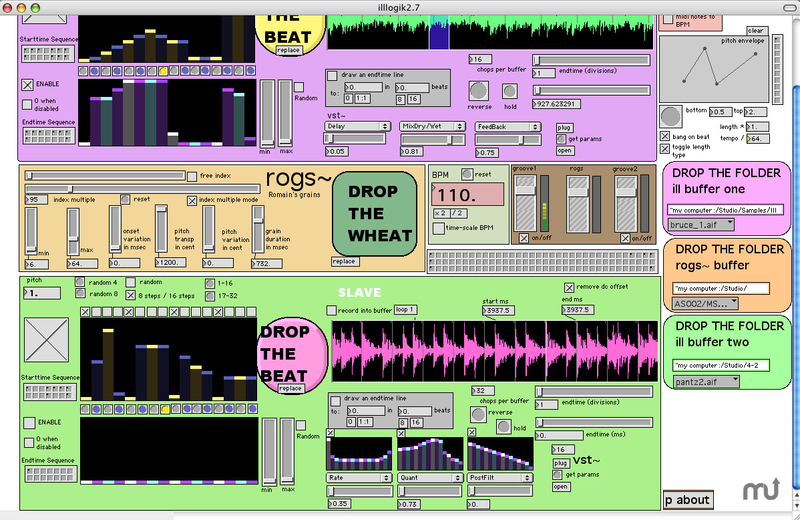 Ill Logik is a jamming interface for realtime groove rearranging, studder editing, granular synthesis, and live processing. Ideal for making glitch and IDM. You must open this program using Cycling 74's Max/MSP or the Max/MSP Runtime. Version 2.7: Release notes were unavailable when this listing was updated. Ill Logik needs a review. Be the first to review this app and get the discussion started! Ill Logik needs a rating. Be the first to rate this app and get the discussion started!